Stellar Blue Technologies, a Fox Valley, Wis. based digital marketing firm, launched a new custom website for “A Village” LLC. Based out of Appleton, Wis., “A Village” provides affordable mental health counseling services that enlighten, educate, and help people move forward with the assistance of programs that combine education, cognitive behavior therapy, and other tools to use when facing life’s challenges. Founder Teresa Gross began her relationship with Stellar Blue by attending the education workshops in Neenah, Wis. 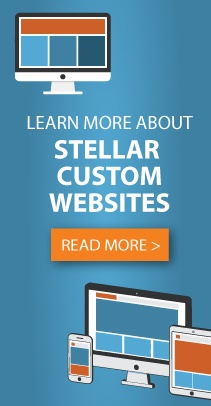 This website is Stellar Blue’s first project for the organization. When users first come to the website, they encounter a home page full of information and resources. The main navigation bar allows users to easily access the About Us page, contact details, program offerings, additional resources, and ways to get involved. On the home page, users notice a “Register Now” button for upcoming programs. These same programs are also listed further down the home page if the user continues to scroll. As the user moves down the page, a Support section speaks to the life challenges that “A Village” helps individuals address. The Our News blog is found near the bottom of the home page with important updates and inspirational content. Users also come across social media icons and quick links to donate, volunteer, contact, and learn more. The custom website is fully equipped with a responsive design, in addition to WordPress and blog integration that allows easy content updates and the ability to edit pages throughout the website without hassle. Users can simply register for programs, as the site is built with PayPal capabilities.